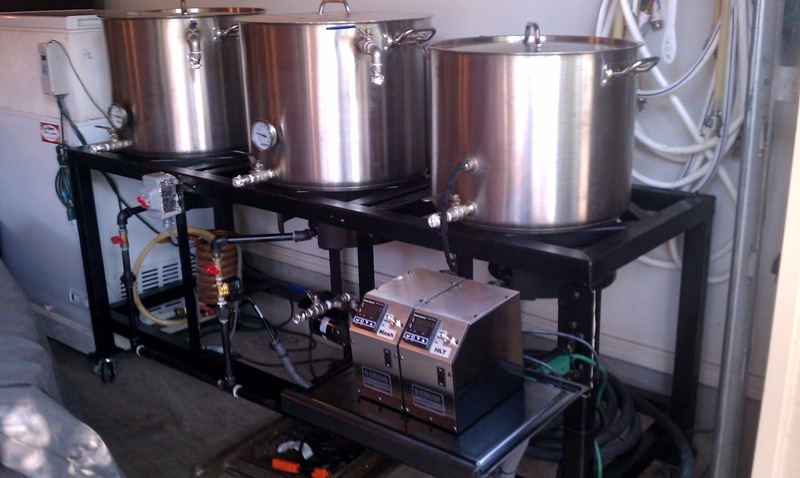 Finally got all the equipment I wanted for an all grain batch. I plan to use a 10 gallon polarware pot with false bottom for the mash tun. I am using silver foil wrap around the sides and top for insulation (installed AFTER the burner is off, I have learned... glad I tested). I ran a test this morning using 6 gallons of water with the heat off and it dropped 10 degrees in 60 minutes. I did stir the water with each 15 minute temperature measurement, so I think that threw it off a bit. I am re-running the test without stirring. My question is whether or not the addition of grain will significantly reduce the heat loss. My assumption is that the grain would stop any convective heat loss to the pot sides. I am also curious about typical frequency of hot water additions for anyone else with a similar setup. Grains would likely reduce convection within the pot, but I don't think that would slow heat loss significantly. It may just cause a greater temperature difference between the edges of the pot and the center of the mash when compared with a pot full of hot water only. If you are mashing in a pot usually there is some sort of recirculation going on to maintain temps. That's why I like using coolers. where there is very little if any temp loss. If you are doing a single temperature infusion, once you get the mash stirred and have the temperature where you want it, put the lid (preferably and insulated lid) on the kettle and leave it in placed. Even a DIY insulated kettle isn't going to hold temperatures as well as a cooler unless you are adding heat to your mash liquor somehow. I insulated my mash kettle with closed cell foam wrapped in aluminum foil tape (including the lid and the bottom. I would lose several degrees in the first 30 minutes according to my kettle thermometer (never opened the lid). Once I began to recirculate, the temperatures really dropped off. After several batches, I revamped the system so I could heat the mashtun. The only insulation I have now is on the kettle lid (because I was too lazy to remove it). Temps are stable within 0.5 degrees. Thanks folks. That settles it. I am ordering parts for a cooler conversion. Will keep the false bottom for the pot and a future RIMS project. So glad I tested the equipment out before I started. You could upgrade from foil to Reflectix insulation - if you are not using gas to heat the mashtun. You can find it at Lowes or Home Depot and it's rated for up to 180 degrees... When I switched from coolers to boilermaker kettles last year I didn't think about how efficient the mashtun cooler kept the temp. The next brewsession I had created jackets made out of Reflectix around my hot liq. tank and mashtun kettles. This provided the same efficiency that I had with my coolers. Isn't the insulation in reflectix basically just bubble wrap? If not, what is it? I thought it was rock wool no? Dcbc do you have steady heat on the mashtun during mashing or do you just turn on the heat to raise the temp back up? I use a Blichmann Tower of Power controller to monitor mash liquor temperatures on my pump output and turn the flame (kept very low) on and off while recirculating the mash liquor at a relatively quick rate. The low flame and quick recirc helps to ensure that there is no scorching of the mash liquor below the false bottom. This maintains mash temperatures within 0.5 degrees and can also be used to ramp temperatures up in multistep mashes or for mash out. You can do it manually, but you need to be pretty hands on about it and have a way to measure temperature near the mash liquor return in the loop. It is a pretty hands on process to do it this way if you don't have anything other than the flame helping you hold temperatures, i.e. insulation. It's bubble-wrap sandwiched between radiantly reflective sheets. Much more robust than plain ol'bubble-wrap. I love the stuff. I did three turns around my kettle when it was electric. Awesome stuff. Surprised that closed cell foam didn't do as well. Go refelctix!